KART horses have the temperament and training to work with our riders. Horses and riders are matched to create the best pairing for a successful session. Temperament, gait, age, health, conformation, energy level, responsiveness, sensitivity and level of training are just some of the considerations for the horses used in KART programs. A Thoroughbred – Bay, born in 1995, Champ helps out when needed. He loves to be groomed and bathed so can be a perfect choice for barn management lessons. As a former turf race horse, Champ is ridden only in the ring as a trail ride can make him too excited for our special riders. Fancy is a sweet, 12 hands Welsh Pony Cross. Perfect for barn activities and providing rides for the smallest of KART participants. Although new to the KART program, Fancy is a favorite among adults and children alike. Leo is a Dark Bay, Trakehner, born in 1999. He quickly adapted to the KART program and became popular with many of the riders. He is very dependable in the arena and on a trail ride. Leo enjoys being in the field and gets along well with his field mates. 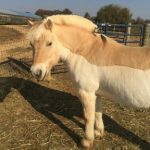 Micah is a Haflinger that has been in the KART program since 2007. Although young, he is very quiet and easy going, traits for which Haflingers are known. Micah is very strong and sturdy and can carry a lot of weight, and he is short enough that side-walkers can easily assist a rider in need of support. Micah is a smart horse who loves to be around people and is a happy worker. He is our go-to horse when using the mechanical lift to transfer a wheelchair bound rider to a horse. Noble, a Palomino Quarter Horse, loves to be a part of the group especially while in the field. He is easy to work with and stands well for baths and grooming. Although he usually is slow in the rind and on a trail ride, he can pick up his pace nicely when asked. 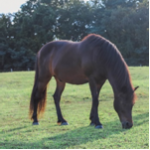 Born in 2000, Nora is a Norwegian Fjord mare with a distinguishing mane that stands up straight. Many of KART’s participants are intrigued by the mane which makes her easily identifiable. She can be used for grooming and bathing for barn management activities. Nora is a real asset to KART and popular among the riders. Reo is new to KART’s program, but quickly became a favorite. 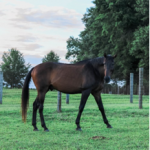 Born in 2004, Reo is a Quarter Horse, possibly mixed with some gaited breed. She loves to roll in the mud and can be very curious, preferring an open window so she can see everything. 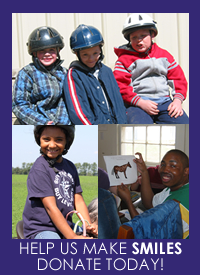 Do you have a horse to donate for the program?